The close encounter that the U.S. Navy characterized as "unsafe and unprofessional" comes at a time of heightened tensions between the United States and China. 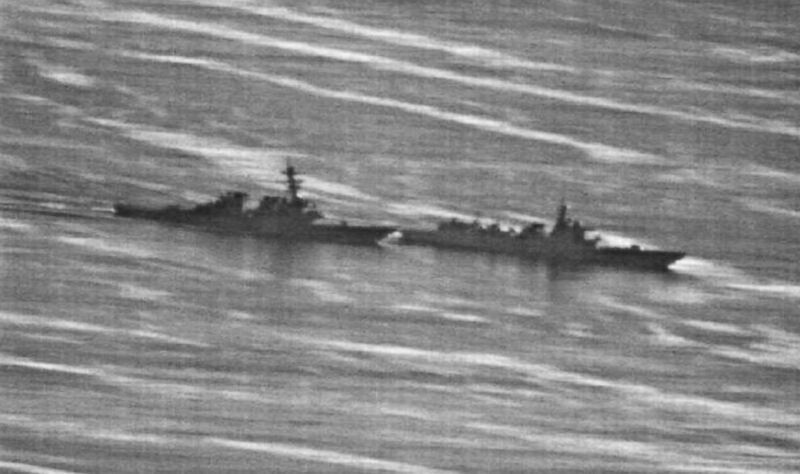 (Photos obtained by gCaptain) US Navy photo obtained by gcaptain.com of the USS Decatur's close encounter with a Chinese warship on September 30, 2018. According to another U.S. official, the Chinese warship was initially about 500 yards on the Decatur’s port side then moved ahead of the Decatur and cut across the American destroyer's bow at a distance of 45 yards (135 feet). This report was featured in the Tuesday, Oct. 2, 2018, episode of ABC News' daily news podcast, "Start Here."